The RBH Drum Co. is proud to announce that multiple GRAMMY®-nominated producer, songwriter and musician Greg Wells has acquired a full set of the custom drum-maker’s handcrafted, “Monarch” series drums. Based in Los Angeles, Greg has collaborated with artists ranging from Adele, Weezer and The Count Basie Orchestra to Pink, Katy Perry, Kid Cudi, One Republic and All-American Rejects. CD's featuring Greg's music have sold more than 80 million units worldwide. Like many of today’s most successful record producers— and more and more young musicians who aspire to become successful record producers— Greg is also a multi-talented, multi-instrumentalist who is as comfortable behind a drumkit, guitar, bass or keyboard as he is behind a mixing console or a computer running the latest recording software. RBH’s “Monarch” drums employ a traditional mahogany-poplar-mahogany shell created from today’s finest materials and meticulously handcrafted to today’s highest standards. This method of drum construction produces a vintage-style drumshell and a deep, dark, warm yet punchy drum sound. 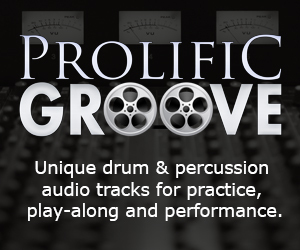 The drums are low in pitch with naturally controlled resonance, extremely musical and relevant for a wide range of classical and contemporary drumming situations. For more information about RBH Drums, visit www.rbhdrumsusa.com.